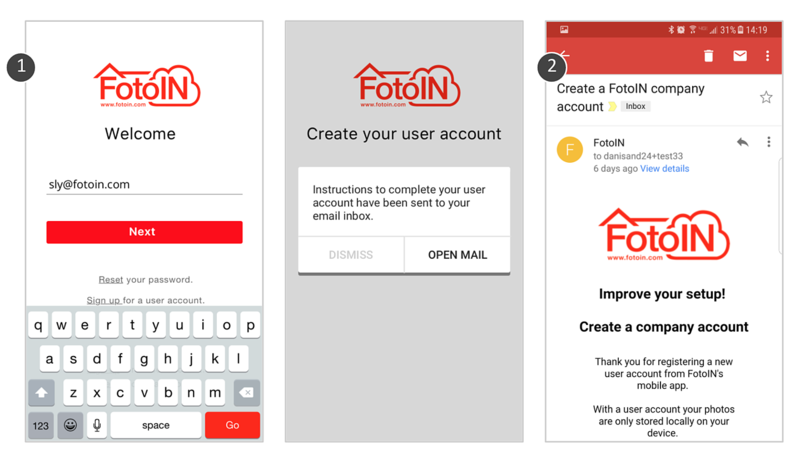 Open the FotoIN app and tap Sign up for a user account towards the bottom of the screen. Type in your email address and then tap Next to set a password. Follow the prompts, to open the verification email on your mobile device and tap on the link to verify your email. You will be redirected to the FotoIN app to log in. If you would like to create a company account, open your email on a computer or laptop and locate the ‘Create a FotoIN company account’ email. Tap on Create company account and a new tab will open with a form to complete your setup. After logging into the app for the first time, you will be quickly guided through the main features of the camera screen, edit photo screen and the gallery. 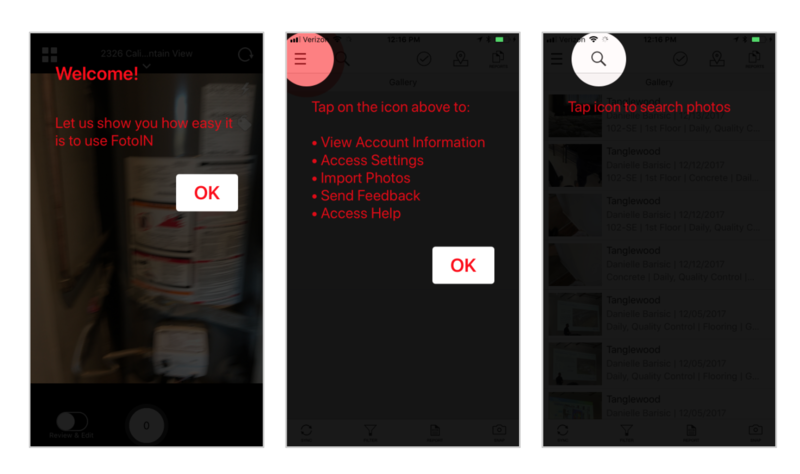 These tips will only show during the first time you access the screen. TIP: If you’re having trouble finding the vereification email, please check your Spam or Junk folders.